WhatsApp 2.17.22 for iOS is now available to download. The latest update for WhatsApp includes minor improvement over recently released update 2.17.21. The previous update was released with lots of new features and UI changes like two Step Verification, Group Info, Contact Info and more gets new refreshed UI. Additionally, the update also includes bug fixes and other improvements. Check out the changelog including last update below. New language for WhatsApp: it’s the Persian one. New UI for the Two Step Verification. New UI for Group Info. New UI for Contact Info. New UI for the “Calls” section, that shows the profile picture of the contact and the icon of the call type. New design for viewing information about canceled voice and video calls, selecting Contact Info from the “Calls” section. Replaced the “Voice call” icon with the “+” icon. If you tap on ‘+’, you can see the list of your contacts for making voice and video calls icons. You aren’t able to call yourself. If you open your personal chat, you will notice that the voice and video calls icons are disabled (the same in Contact Info). Then, also the “Groups in Common” seems disabled in this case. You won’t be able to place a WhatsApp call if you’re already on another call. It’s possible to forward and revoke multiple statuses now, in the “My updates” section. WhatsApp 2.17.22 added the “Contact Cards” section in Contact Info when the contact isn’t in your address book and you already received his vCard from another contact. WhatsApp 2.17.22 added the “Contact details” option, that shows contact info of the contact. Download”. If you have already downloaded a media, WhatsApp won’t download it again and it will ask you to edit it if you want. Passcode” is now “PIN” for Two-step verification. The camera now remembers the last state of usage. If the group’s invite link has been revoked, all administrators will be notified. General improvements for the auto download feature. Improvements for viewing Right to Left languages on iOS 7. WhatsApp 2.17.22 added some checks that prevent you to forward statuses that WhatsApp is still uploading. Added an alert that informs the user if he has inserted the SMS code verification as the two-step verification PIN. Updated the Yandex Navi, Google and Apple Maps APIs. Improvements to manage the cache. 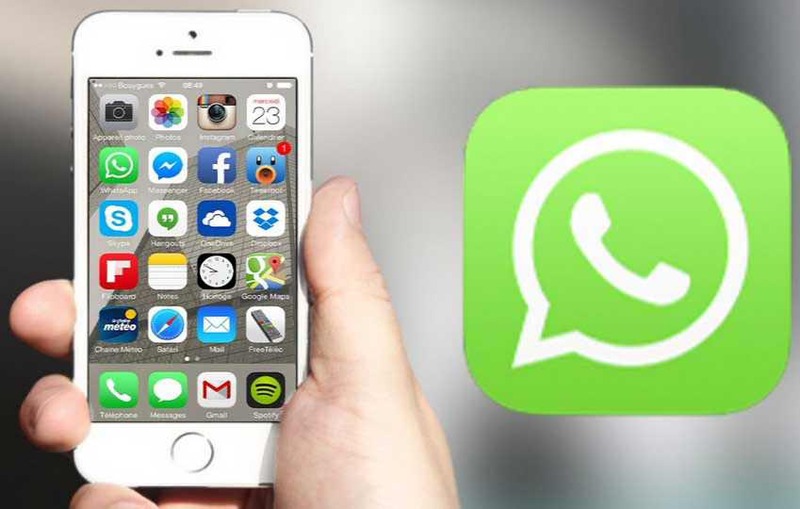 Download WhatsApp 2.17.22 for iOS from the link below.